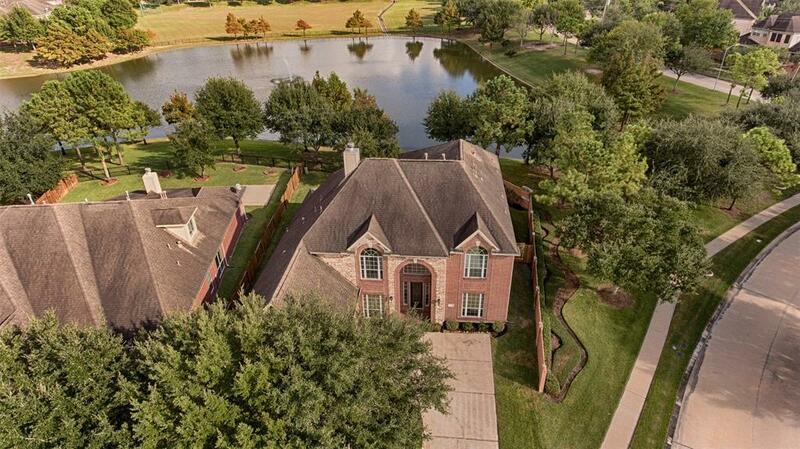 Overlooking Lake Glenda in beautiful Shadow Creek Ranch is where you'll find this stately home! 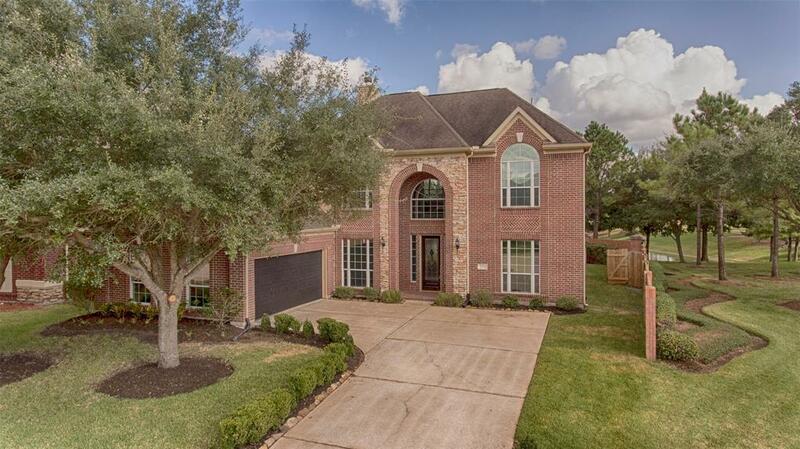 With soaring, 20' ceilings in Foyer and tile, with granite inlay, that extends throughout much of the 1st floor, you'll be proud to call this one home. Home offers split Formals and a Study. A spacious kitchen with island, stainless appliances (including refrigerator), walk-in pantry & butlers pantry, will surely please the chef in the house. Generous Master Suite showcases a walk-in closet with built-ins, and leads to the luxurious Master Bathroom, complete with coffee bar & mini-fridge, dual vanities, corner jetted tub & delightful walk-in shower with glass block privacy wall. Upstairs you'll find a Game Room, the setting for many a family game night, as well as 4 bedrooms and 3 full bathrooms! 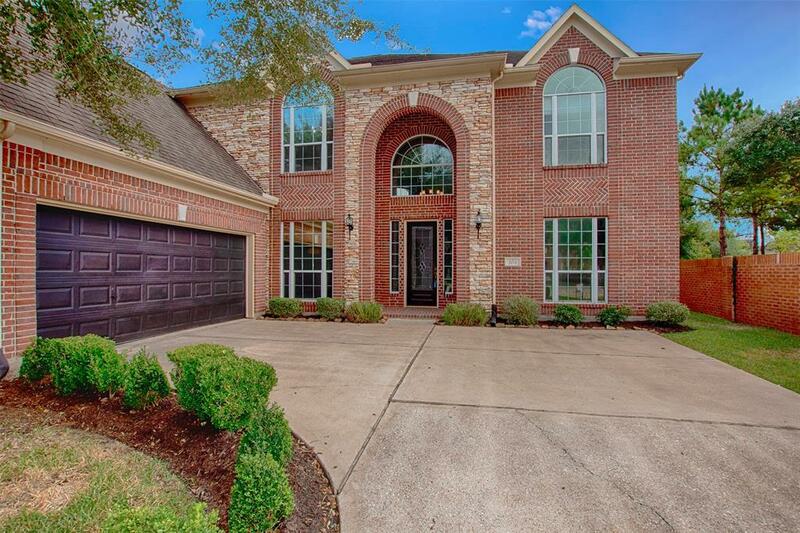 Enjoy the tranquility of the lake, and no back neighbors, from your covered patio! This home features a water softener system, too!